Proclad Induction Bending has invested in excess of £50,000 in a custom designed intelligent Data Recording system to provide clients with detailed quality information throughout the production process. Dawson Downie Lamont, one of the world’s leading players in the manufacture and supply of specialised direct acting steam driven reciprocating pumps, have launched a new vertical steam driven pump which would be used during the unloading operations of VLCC tankers and FPSO vessels. The Cargo Stripping Pumps are designed to pump the remaining crude oil and sea water from the cargo hold and pipe work of these large tankers. The new pump has been designed to allow a structured modular build, with smaller pump casing assemblies which makes for easier casting and manufacture. Proclad has unveiled its 3rd production line which is capable of generating 1500 metric tons of nickel alloy welding overlay. 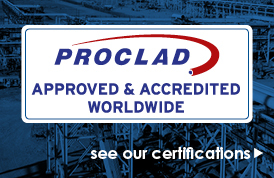 The investment further enhances Proclad’s unique ability to offer integrated solutions to the Global Oil, Gas and Energy markets with manufacturing facilities in Dubai, Abu Dhabi, UK and Singapore. Located in Proclad’s 50,000 square metre facility in Dubai, the new production line has reinforced its position as the global leader for Corrosion Resistant Alloy (CRA) Clad Pipes, Pipelines, Fittings, Flanges and Piping / Pipeline spools. 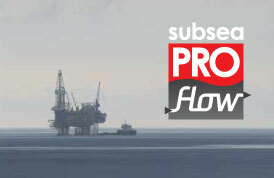 Proclad have secured a long term contract with Emerson Dubai to manufacture and supply Multiport Flow Selector Valves for various oilfield sites of Petroleum Development Oman. The contract will see the Proclad major contracts team oversee the fulfilment of the project which will involve the cladding and machining of individual flanges before fabricating the items onto the finished valve. Proclad’s expertise in delivering such a critical project to the superior standards it is renowned for was instrumental in securing the project. Proclad International Forging (PIF) has invested £250,000 in refurbishing its 1000 tonne press as it looks to enhance its reputation for delivering forged components to the highest standard of quality. The 1000 tonne press is a key element in the production process and whilst it was continuing to meet the industry tolerances, Proclad has shown its commitment to delivering a world class solution. The project will see the press being completely dismantled, replacing the hydraulic systems and incorporating state of the art controls and safety design features.